Congratulations, Graduates! We look forward to helping you celebrate your achievements! 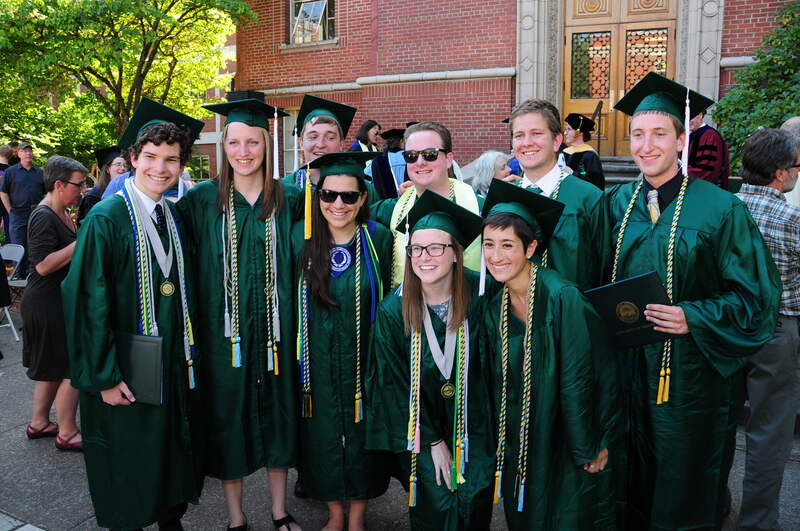 We hope that you can join us for a celebration of your accomplishments at the Geography Commencement Ceremony. 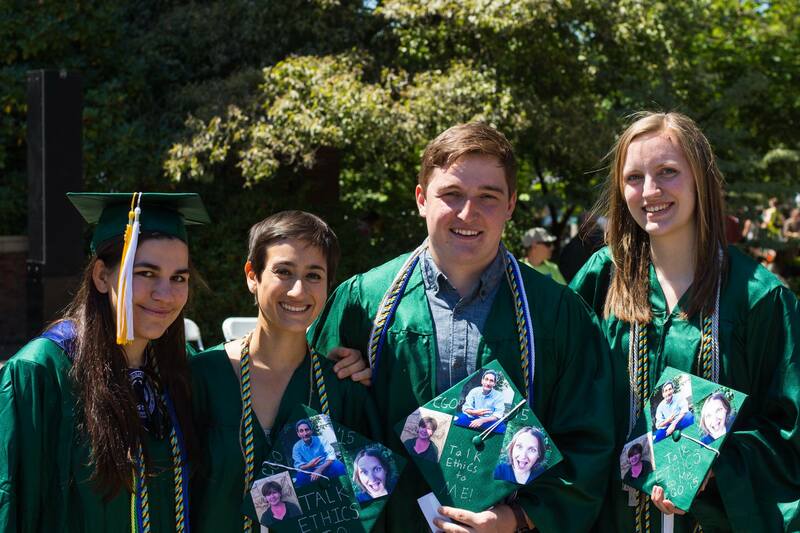 For information about the UO Commencement Ceremony, Monday, June 17th at 9:00 am at Matthew Knight Arena, click here. Also on the university page is a link to the Be an Oregon Duck commencement app, which will provide you with a schedule, maps, to-do lists, announcements and more. The 2019 Grad Fair at the Duckstore will be during week 2 of Spring Term (April 8th-11th). There you can order regalia, cards, diploma frames, and soooo much more. I will post a link when the information becomes available. so we can estimate attendance and order enough cake. 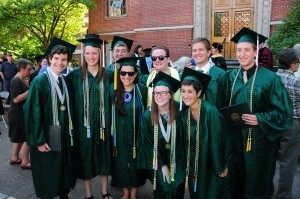 Make sure you apply to graduate on DuckWeb so we have you on our program! 3. You have been cleared to walk by the Geography Department. Dr. Leslie McLees at geogadvr@uoregon.edu. Graduate students may walk if they have been cleared by their advisor. Geography graduates – PLEASE gather no later than 12:00 pm to pick up your name cards. A Geography department staff member will be at a table south of the steps to hand out the cards. The ceremony will feature short speeches by the department head and invited guest speakers. This will be followed by the presentation of geography department awards and diploma covers. We will have a program that includes a list of this year’s graduates. Light refreshments will be served after the ceremony during an open house in the Geography department. You can show your family around, meet faculty, and show off what you’ve been up to. Parking around commencement is difficult. Please plan to arrive early or take the bus. Shuttles will be available, and information will be posted here as soon as it becomes available. During the ceremony, there will be a professional photographer to take pictures of you as you receive your diploma and afterward. You will be able to go to GradImages.com, enter your name and school, and you can pull up the photos and order them. Your diploma will be mailed to you about six weeks after you graduate, regardless of the term you finish, assuming all requirements have been met. Stay in touch! Let us know how you are doing! Email geogadvr@uoregon.edu to send us updates.